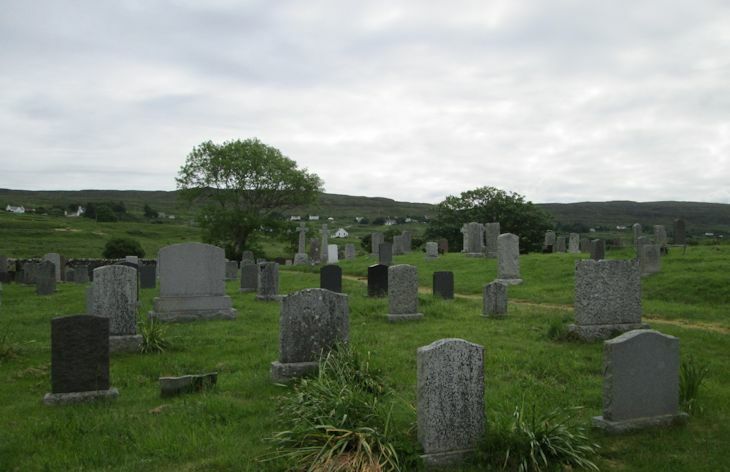 Skye Gravestones | Glendale Burial Ground, Duirinish. This burial ground sits on the flat bottom of Glendale close to the Hamera River. It is serviced by an unsigned metalled track near the bridge over the river. A modern extension adjoins, which has its own Album on the website - Glendale Extension..